Guerssen has reissued another one of the legendary Toby Robinson’s one-off projects recorded after hours at Dieter Dierks’ studio near Köln, Germany. Toby’s favorite activity during his down times was to experiment with the equipment and sound. He would also join in on jam sessions with other musicians and record them. He worked with bands like Birth Control, Dzyan, Wallenstein, and Mythos, so some of these musicians may have been involved, though there is an air of mystery on all of Toby’s projects on his Pyramid label. 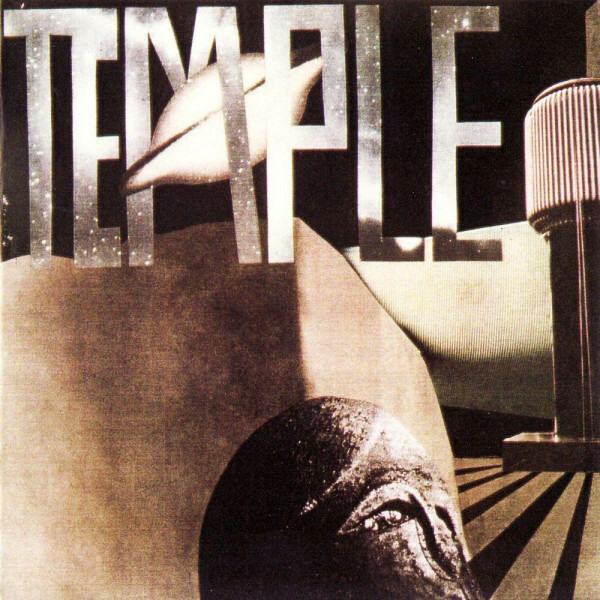 Temple may be the oddest of all the Pyramid releases as it sounds like a combined album by two different bands: one a hard rocking psych band and the other a trippy cosmic band. According to Alan Freeman’s liner notes, apparently not all of the musicians are involved on all pieces, with initial sessions dating from 1975 with some extra recordings and overdubs in 1976. The original release credited Poseidon (vocals), Pauline Fund (vocals and tambourine), Zeus B. Held (organ, Moog, and Mellotron), Heinz Kramer (guitar), Rolf Föller (guitar), Joachim Weiss (bass), and Otto Bretnacher (drums). Joachim Weiss is probably one Toby’s many aliases. Zeus B. Held (Birth Control) probably contributed while recording Plastic People at the studio. Rolf Föller is probably Birth Control’s bassist Peter Föller and Pauline Fund was also on the Cosmic Corridors album. The other band members are probably aliases. Despite sounding like two bands in one, Temple is a great stuff! The album opener “Heathen” is a dark and heavy trippy psych rock tune with a “Foxy Lady” rhythm and bass riff. “Leaves Are Falling / Black Light” begins with gothic Bauhaus-like vocals for the first part and then sounds like another band as the music turns eerie and quiet with spooky electronics and Mellotron. This is trippy cosmic music that could have been the soundtrack for a 70s vampire movie. The next track, “Age of Ages,” is slow cosmic music with Pauline’s narration reminding me a bit like Ash Ra Tempel’s Starring Rosi. Then the music takes another shift with “Ship on Fire,” sounding like Bauhaus meets Neu! This is high energy psych/proto punk with fuzzed and distorted guitars, plus a hypnotic motorik beat. And the album closes with “Crazy Hat / Kingdom of Gabriel” that begins with a lovely and quiet cosmic excursion and jumps back to gothic Bauhaus territory and the repeated lyric “Kingdom of Gabriel.” Definitely an odd band and recording, but one well worth checking out by all fans of Krautrock.